Andrea Riseborough: James, I’ve been sent this script for a film called Welcome to the Punch but I’m not sure why they want me for the part. James McAvoy: I’m playing the lead, I think they want to fill the cast with all the best British actors who weren’t in the Harry Potter films. Peter Mullan: I’m in it and I had a part in Harry Potter. James: Did you? Who were you? Peter: I was one of the main Death-eaters. James: Really, I don’t remember that. James: Anyway Andrea, are you going to do it? Andrea: I don’t think so, it isn’t the kind of stuff I normally go for. I like to perform in serious films with a political message like Shadow Dancer or Made in Dagenham. This seems so derivative. James: Oh yes, me too. I was in Atonement. Andrea: Yes and you were great in that but you were also in Wanted and Gnomeo & Juliet. Andrea: Who else is in it? James: David Morrissey is doing it, and Jason Fleming although he has upset the director so I think his part is going to get cut down so it is little more than a cameo. Mark Strong is playing the bad guy and he is brilliant. Andrea: He is brilliant but he isn’t exactly very selective with the films he does though is he? Andrea: What is that? Are you okay? Do you need a glass of water? James: No, I’m fine. Thank you. Andrea: I mean, have you read the script James? It is so predictable. That thing with my character and her unrealistic habit of writing notes on her hand, you know where that is going right from the beginning. James: But it is a serious film about a driven cop on a mission to bring down the great criminal who has eluded him for years. It’ll be like Michael Mann’s Heat only set in London. Andrea: It would be nice to be in a film that showcases London as an exciting and modern city. It shouldn’t try to be too American in its style though. James: Don’t worry about that, there is a gun fight towards the end that is going to randomly be set in a quintessentially English living room circa the 1950s with doilies and ornate wooden furniture. Andrea: What? How are they working that in? James: It is the hard, merciless professional killer’s house, he lives with his Nan. Andrea: Can we do Sarf Landan accents? 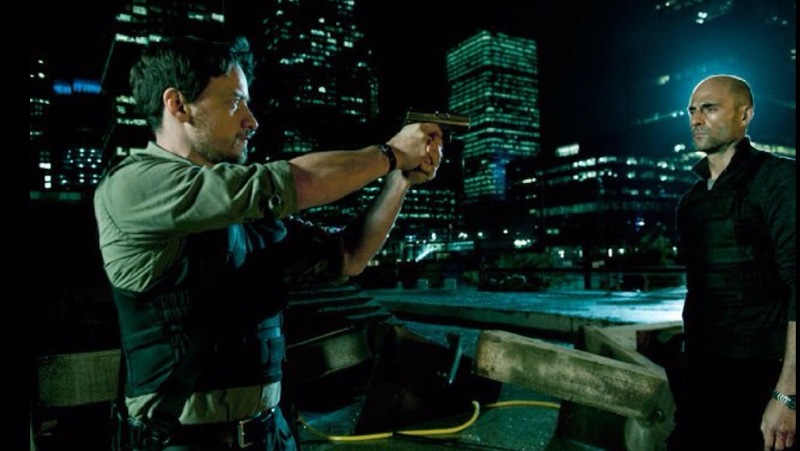 Tagged Andrea Riseborough, James McAvoy, Welcome to the punchBookmark the permalink.